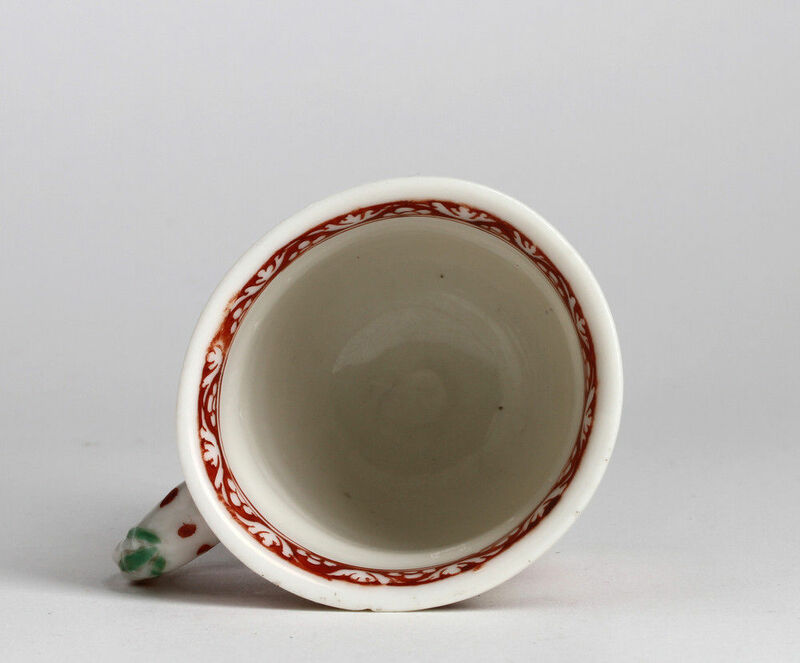 This shape of small cup often called a ‘capuchin’ is one of around six shapes found in blanc de chine porcelain of Dehua, China, that derive from uniquely English shapes and would have been specially commissioned by the merchants of the English East India Company. The name capuchin is said to derive from the rib around the cup which recalls the best around the waist of a Capuchin friar. 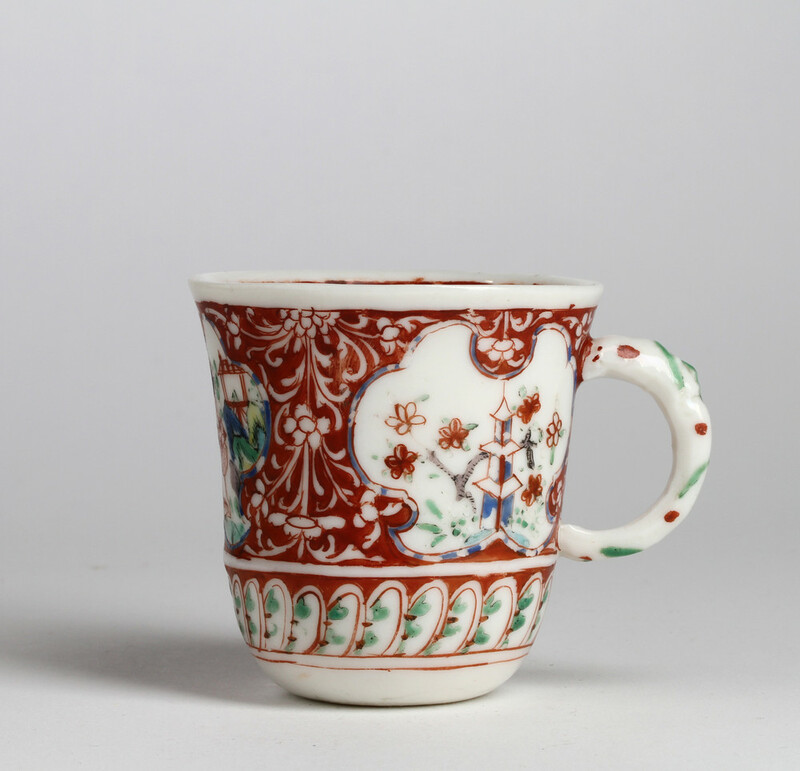 This is a particularly elaborate example of some of the earliest enamel decoration added in London in the early years of the 18th century. Japanese and Chinese motifs are set in shaped cartouches on an iron-red ground with reserved foliage. The lower band of lappets simulate the raised gadrooned decoration found on the silver originals of this form. 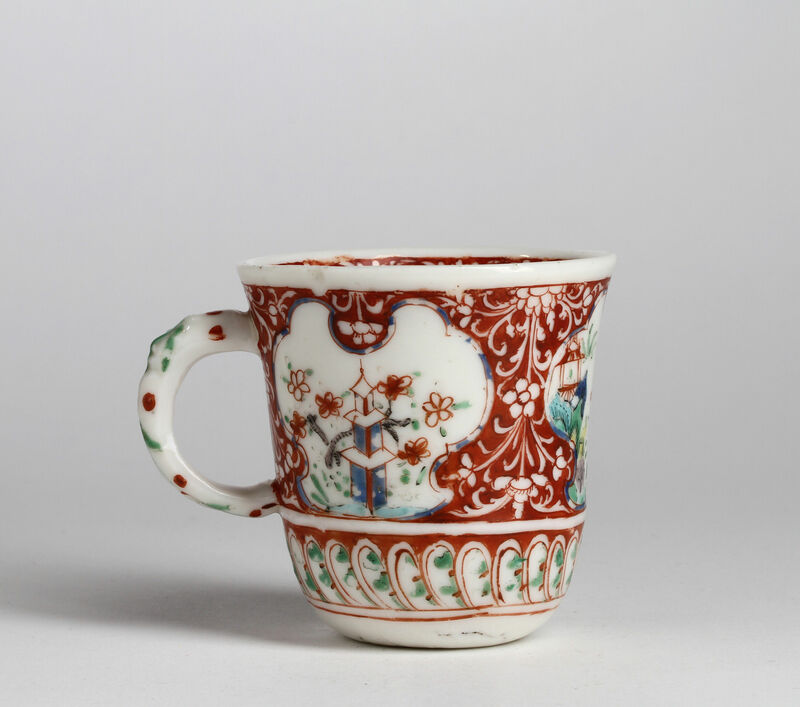 The porcelain 1690-1710, the decoration 1700 – 1720. Condition – Shallow chip to rim. 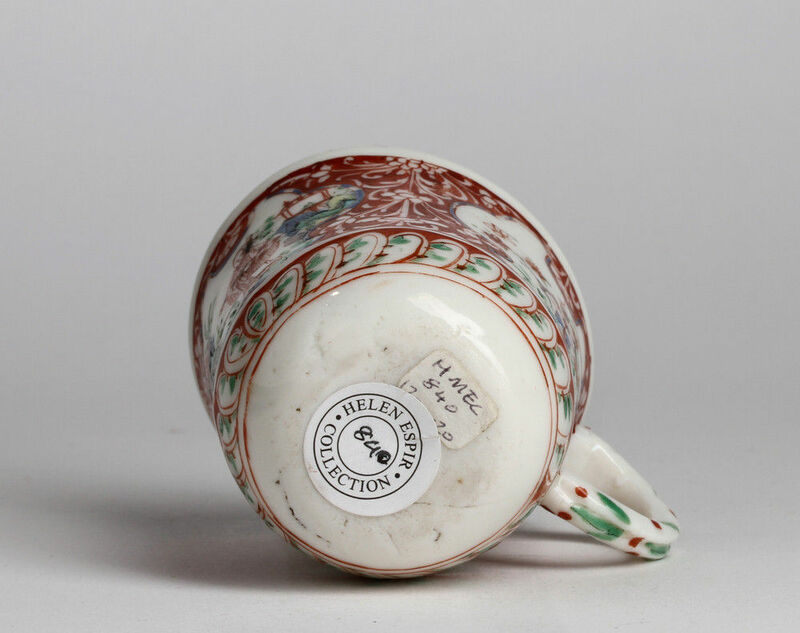 Literature – Errol Manners, ‘The English Decoration of Oriental Porcelain: Some overlooked groups1700-1750’, English Ceramic Circle Transactions, , vol 19, part 1, 2005, fig 21. 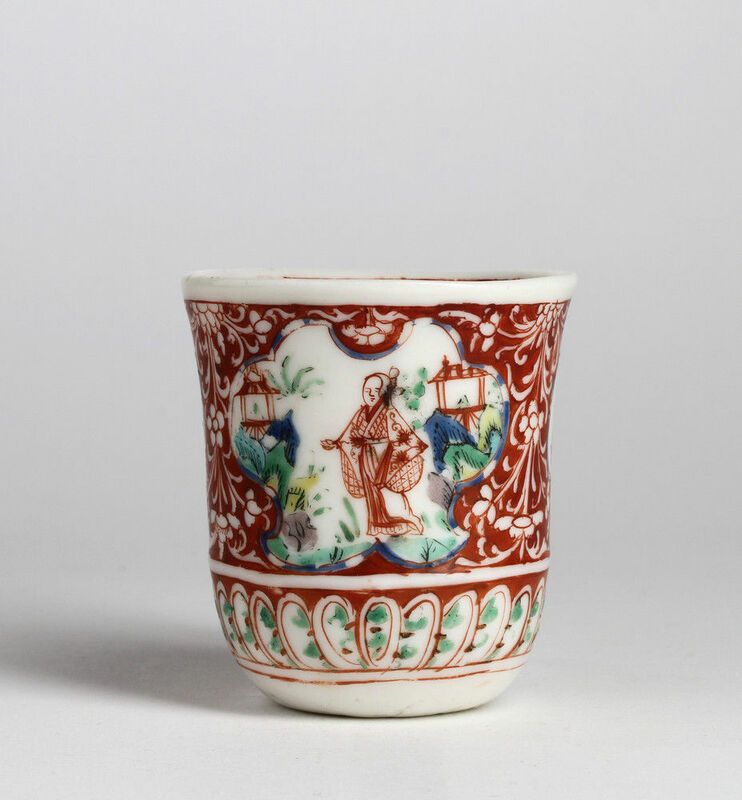 Helen Espir, European Decoration on Oriental Porcelain, 1700-1830, 2005, p. 212, fig 11.